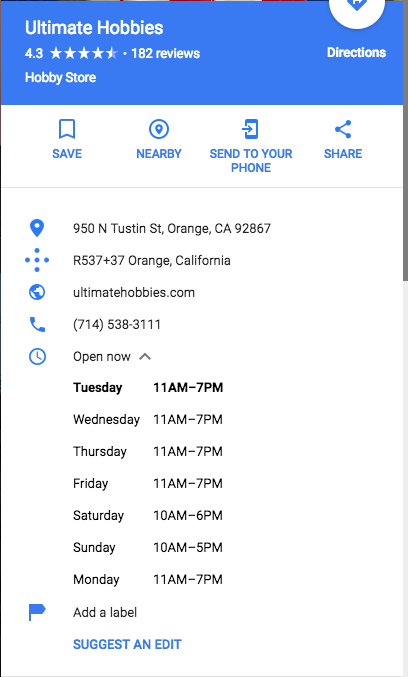 Long established Hobby Store in the city of Orange moved to their current location below and have a small 11x8 regular tile mini-z track with pit spaces which is not seen in the pic. they set up lap counter per request and practicing there is free. 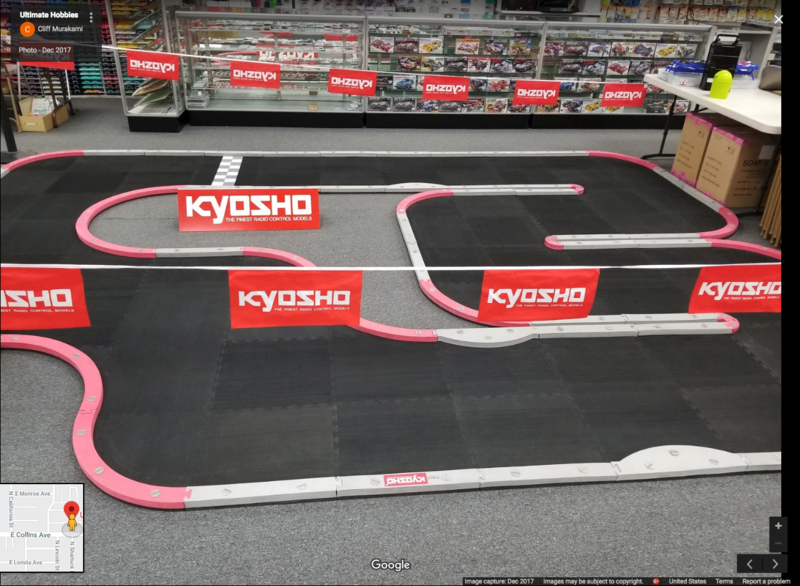 Not the set up for intermediate/advanced racers but great for Novice & lower sportsmen drivers trying to figure out the basics or understand next level tuning. Box stock RWD / FWD would be a great choices for here.